For the HTTP client, we can use the ICS HttpCli component (ICS suite available from www.overbyte.be); for the graphic component, the TPngImage that is incorporated into XE (and others) and for the canvas the standard TImage. The only event we need on the HtpCli component is the OnRequestDone which fires when the result has been received. We also need to create and destroy the memory stream and png image via the FormCreate and FormDestory events. When finished the OnRequestDone event will fire. Here we need to decode the returned image and display it on the form. The only problem with this is that you need an enterprise license to be able to use Google maps in non-public websites, this was about $11,000 per year last time I looked. The best free solution that I have found (at least for New Zealand) is to use openstreetmap.org – which has a creative commons license – the maps aren’t as complete but free. OpenStreetMap is a great resource! Thanks for pointing this one! Everyone case use Google Maps and add at own software, but the must be FREE and you must make it available for everyone to download (e.g. from your website). If you implement in a commercial software, then you must acquire the enterprise license. There are some other limitations, but only if you use it heavily. I prefer embedding a TWebBrowser with a “live” map, rather than use the static tiles… but similar licences restrictions apply. The API also seems to be built around a zoom level and image pixel size. More useful would be a way to get the actual (and request an image with) specific geolocated bounding coordinates for its edges / corners. I’ve found resources online where Google’s zoom levels etc are reverse-engineered, so from a zoom level and centre coordinate you can figure out the geolocation of the returned tile. It seems fragile and dependent on Google’s internal code though. Google and OSM use the same projection and tiling scheme. 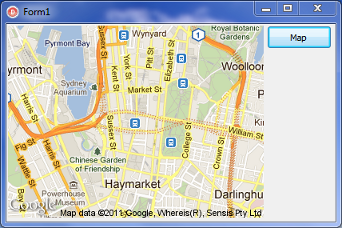 The only difference is that Google coordinate origin is on the upper left, while OSM is on the lower left. You can easily create your own tilesets from georeferenced raster files, using a tool like Globalmapper (commerical but quite cheap, around 150 Euro). If you are on Linux, you can use gdal2tiles and similar tools for free. Globalmapper has other features too, you can easily georeference any maps for example and then directly export to OSM. That way you won’t have to pay the Google licencse fee and you can keep your stuff offline.